Hemp farmers in Canada say overproduction is depressing prices for seeds. The Canadian Hemp Trade Alliance told the Commodity News Service that Canadian seed prices have fallen from about 75 Canadian cents (58 cents) a pound last year to 55 Canadian cents a pound this year. Canada remains the world’s biggest hempseed producer, devoting about 138,000 acres to hemp last year, most of it for oilseed products. 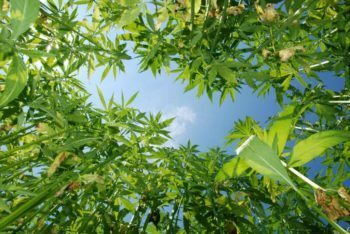 That total is second only to China, where hemp is mostly grown for fiber, and about 10 times the hemp acreage grown in the United States last year. But hemp remains a niche crop in Canada. By comparison, Canada last year devoted nearly 23 million acres to canola. “It’s a delicate, delicate balance,” said Russ Crawford, president of the CHTA and a director of British Columbia hemp processor Naturally Splendid Enterprises. Organic hemp prices haven’t dropped, Crawford said, with those seeds going for about 1.80 Canadian dollars ($1.39) a pound. More farmers are expected to join the hemp industry this year in Canada, where new marijuana regulations taking effect this summer could also expand the hemp market. Canadian hemp currently can be used only for seed and fiber without a special license from the national health agency for CBD extraction from leaves and flower. Canada’s new regulations will allow for the sale of flower and leaves to licensed processors in the marijuana market. Canadian hempseed growers are hoping prices rebound with a new market opening in Australia, which recently legalized hempseed consumption but doesn’t yet have an established network of producers. But Canada is fighting headwinds of increased hempseed production just to the south. “Our exports to the U.S. are down quite a bit this year as well, and so we’re in a competitive state,” Crawford said.